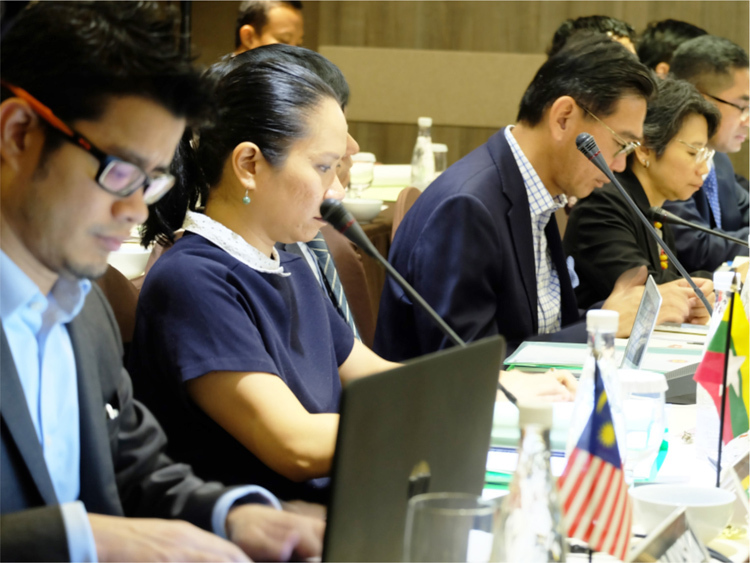 Remaining focused on responding to natural disasters in the ASEAN region, alongside planning for facilitating potential collective ASEAN responses outside of the region form the key recommendations for the AHA Centre. 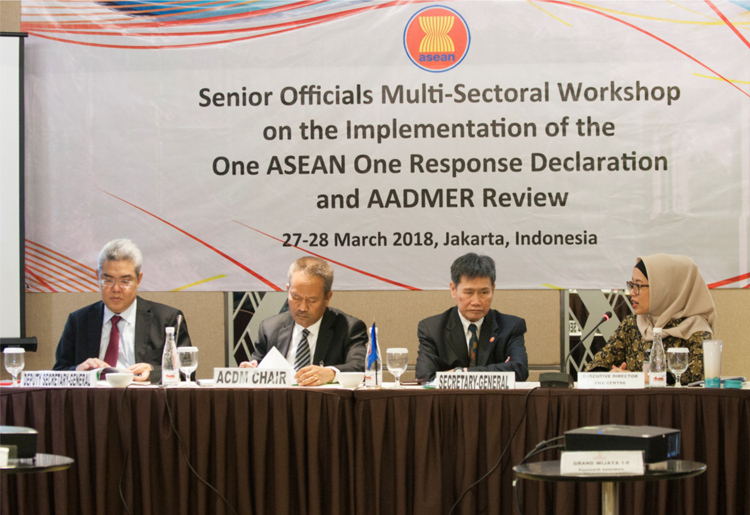 These points were deliberated by participants of the ASEAN Senior Official Multi-Sectoral Workshop on One ASEAN One Response, organised by the ASEAN Secretariat, from the 27th to 28th of March 2018. Representatives from a wide range of ASEAN sectoral bodies attended the workshop, including from the Country Permanent Representatives (CPR), the ASEAN Committee on Disaster Management (ACDM), representatives from the Senior Official Meeting (SOM), ASEAN Defense Senior Official Meeting (ADSOM), Senior Official Meeting on Health Development (SOMHD), Senior Official Meeting on Social Welfare and Development (SOMSWD), as well as other relevant ASEAN entities and partners. The principal purpose of this meeting–as highlighted by the ASEAN Secretary-General H.E. Lim Jock Hoi during his opening address–was to engage the views of a range of stakeholders in more prominently defining the functions of the Declaration, as well as providing clarity to requirements for current and future humanitarian challenges faced by the ASEAN region. The One ASEAN One Response Declaration, signed by the ASEAN Leaders in 2016, reaffirms the commitment of ASEAN nations to respond collectively to major disasters in the region as one, in order to achieve faster speed, greater resources and stronger coordination. 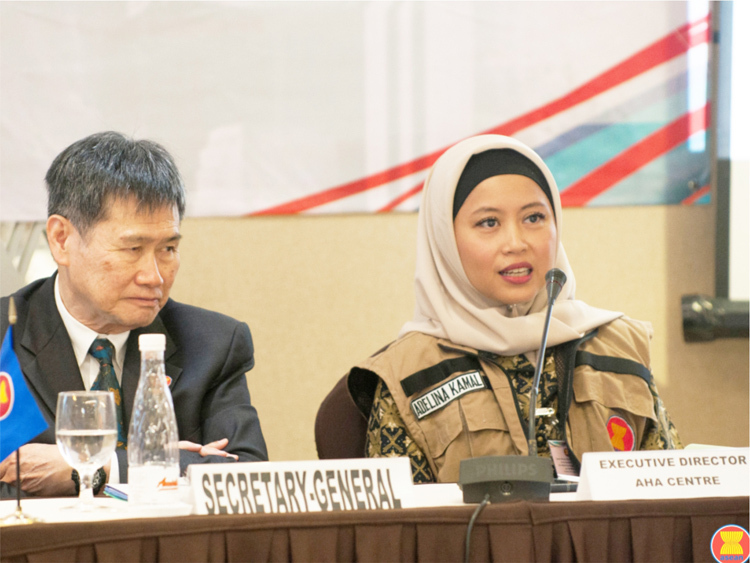 It also reaffirms the position of the AHA Centre as the primary regional coordinating agency on disaster management and emergency response, as well as tasks the AHA Centre to establish coordination mechanisms with other East Asian Summit (EAS) participating countries to enable them to provide assistance to ASEAN countries affected by disasters. The Declaration also envisions a future where ASEAN countries can collectively provide assistance to countries outside of the ASEAN region, and tasks the AHA Centre with preparing for such engagement. The AHA Centre used this opportunity to update workshop participants on recent progress made by the AHA Centre in operationalising the One ASEAN One Response Declaration. 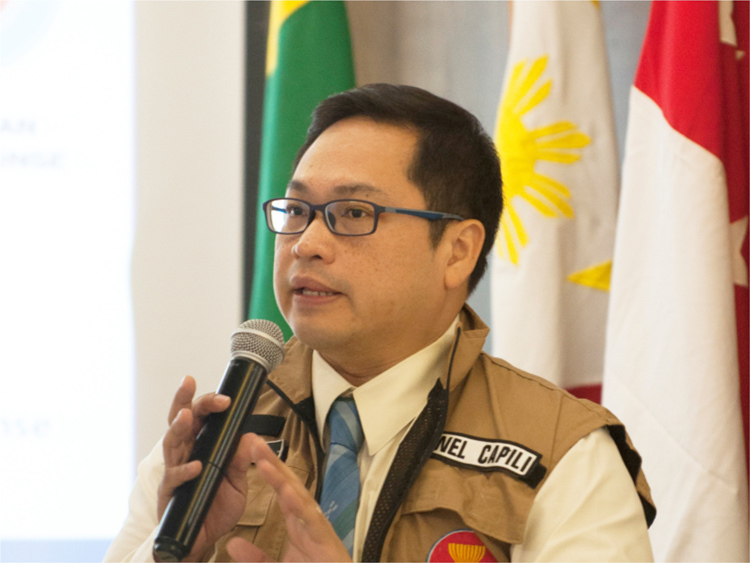 The Director of Operations of the AHA Centre, Arnel Capili, presented a range of tools and concepts that the AHA Centre has developed throughout recent years, supported by strategic guidance from the ACDM. Such processes, amongst others, include the Joint Operations and Coordination Centre of ASEAN (JOCCA), the Web Emergency Operation Centre (WebEOC), and the Disaster Monitoring and Response System (DMRS). However, the most important of all is the ASEAN Joint Disaster Response Plan (AJDRP), which contains a list of earmarked assets and capacities of ASEAN Member States that may be voluntarily mobilised to support countries affected by disaster. The operational focus of the AHA Centre also formed a key subject of discussion during the workshop, with many participants seeking clarification on the AHA Centre’s future role responding to human-induced disasters, as an addition to natural disaster response. Participants finally agreed that AHA Centre should remain focused on natural disasters, with potential human-induced disaster response to be decided on case-by-case basis and with limited focus only on providing immediate humanitarian assistance in such cases. All the points of discussion were summarised into a 16-point recommendation list to be presented to the next meeting of the ACDM in June 2018. The Executive Director of the AHA Centre, Adelina Kamal, thanked all the ASEAN Member States for their continued and ongoing support for the AHA Centre. She nevertheless highlighted that there is still much work to do, including increasing the contribution of other sectors in ASEAN for the AJDRP, as well as pushing for broadened participation of the private sector and civil society in the AJDRP. The AHA Centre launched and introduced a new handbook titled “Operationalising One ASEAN One Response: Speed, Scale, Solidarity” at the workshop, which serves as a reference for operationalising One ASEAN One Response.